Class B All-State – 1962. Class B Individual State Heavyweight Champion – 1963. 3-time Letter Winner – 1964, 1965, 1966. Member of two NCAA National Championship Teams – 1965, 1966. Played in legendary 10-10 tie with Notre Dame in 1966. 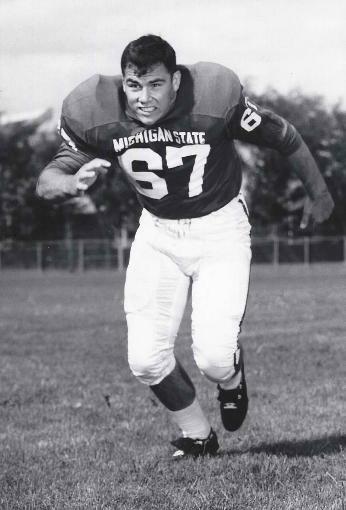 All-Big Ten Offensive Lineman – 1965, 1966. Newspaper Enterprise Association All-American – 1966. Played one season with the British Columbia Lions of the Canadian Football League.